Gary Geddes was born in Vancouver in 1940 and attended schools in B.C and Saskatchewan before earning a B.A. in English and Philosophy at U.B.C. (1962). At the University of Toronto he earned an M.A. in English (1966) and a Ph.D. (1975). During this time he was also publishing poetry and editing books. His first poem collection was Rivers Inlet (1971) followed by Poems (1972). Snakeroot (1973) deals with the western Canadian landscape. In 1976 he was Writer in Residence at the University of Alberta and later visiting professor in English. With Hugo McPherson he began, in 1970, a series of critical monographs on important Canadian writers such as Leonard Cohen, Hugh McLennan, Morley Callaghan, Frederick Philip Grove, Robert Kroetsch, and Al Purdy. As the general editors of Studies in Canadian Literature series they produced volumes on fifteen writers. In 1978 Geddes began teaching at Concordia University where he revitalized the creative writing program. 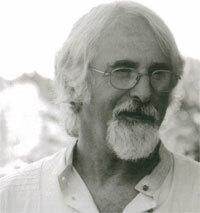 His poetry book, The Acid Test (1981) won the Canadian Authors Association's National Poetry Prize. That year he founded Quadrant Editions, a literary press which published 21 titles with Geddes as general editor. In 1983 he published Chinada, a memoir of Geddes's trip to China with six Canadian authors. That trip included a visit to Xi'an province to view the terracotta warriors which inspired Geddes to produce The Terracotta Army (1984) which won awards and was produced on Radio and Television. He also edited a book of translations from Chinese into English and an anthology of Canadian writing translated into Chinese. In 1986 Geddes edited Vancouver: Soul of a City, published short stories in The Unsettling of the West, poetry, Changing States and a dramatic production in Winnipeg, Hong Kong Poems. He also founded Cormorant Books a literary press. In 1988 Geddes's trip to Chile with other Canadian writers and to Nicaragua resulted in a number of books: Letters from Managua (1990) essays on art and politics, Companeros (1990) an anthology about Latin America which Geddes edited with Hugh Hazelton, his own poems, No Easy Exit (1989). His first edition of selected poems, Light of Burning Towers (1990) was followed by many books and a second selection of poems, Active Trading (1996). In 1998 Geddes left Concordia University and served as visiting professor in a number of universities and colleges in Canada and the U.S.A. He now lives on Thetis Island and continues to write and publish. Recent titles include: Swimming Ginger(2011) and Airborne Particles (2011). Twentieth-Century Poetry and Poetics is in its 5th edition (2006) and Fifteen Canadian Poets Times Three is in its 4th edition (2001). The Terracotta Army is now in an illustrated edition (2011).